A very big thank you must go to our principal funder, the Tarmac Landfill Communities Fund (LCF). The average grant from Tarmac LCF is £20,000. The extent to which Tarmac was prepared to go, uniquely, beyond that was a measure of their belief that our project was feasible and worthwhile. It was also a measure of their faith that we could and would deliver the various elements of such a complex project on time and on budget. 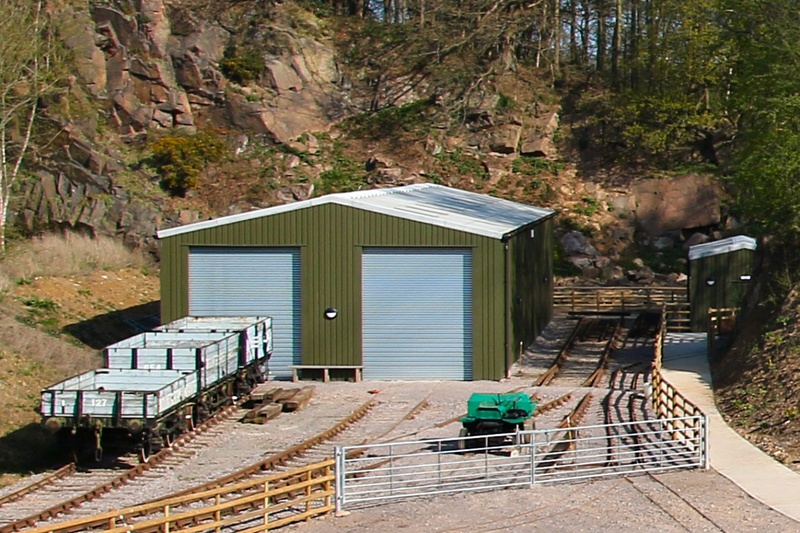 £73,008 towards the station platform, car park and pathway at Mountsorrel Station. 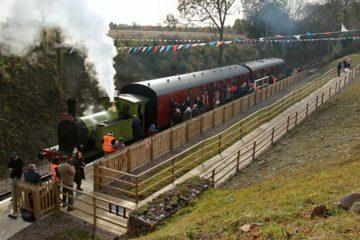 £603,000 towards the erection and equipping of the Mountsorrel and Rothley Community Heritage Centre main building and the creation of Nunckley Hill station platform. £78,328 towards the erection of the Museum and Exhibition Buildings in the quarry bottom. The above amounts were the gross values of the grants received. They include the 10% match funding that was raised by our supporters to release the grants and we thank everyone who contributed to make this possible. Our gratitude does not end there. Track ballast along the entire 1.2 mile length of the branch line has been supplied free of charge by Tarmac. This has been a massive financial saving and, without this help, the completion of the branch line restoration would have taken many years longer. As the project advanced the company provided further non-financial assistance with drainage advice and bridge repairs and, later, technical drawings and plans that were needed for planning permissions and other purposes. 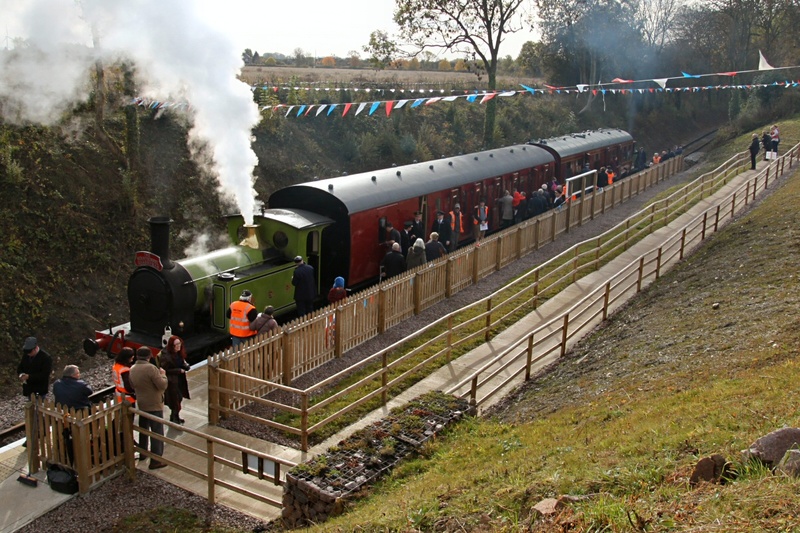 When HRH Prince Charles visited Mountsorrel station and the Heritage Centre in January 2017, Tarmac responded to an urgent request for a bridle path around the field that separates the two sites. As a result the children who greeted HRH at Mountsorrel Station were able to transfer safely to the Nunckley Hill site, thanks to Tarmac’s prompt assistance. Substantial sums had to be raised as match funding in order to release the Tarmac LCF grants. Nevertheless, without the help of the Tarmac LCF, there would be no Heritage Centre, no Museum Building, no Exhibition Building and it is doubtful whether either of the Mountsorrel branch’s two stations would yet exist. Similarly, without this financial support for the major capital costs, we would not have been able to open Granite’s coffee shop in April 2016 and we would not have the prime source of our ability to be self-funding.